Dougal is a lovely little 12 year old Lhasa Apso who came to us from stray kennels where he’d ended up unwanted. He was in a bit of a mess and desperately needed a groom and lots of TLC – 2 weeks on and he’s a new man! He’s had a full groom, had a full dental as his teeth were awful, and been neutered/vaccinated. He looks, and definitely feels soo much better and is now in great health! 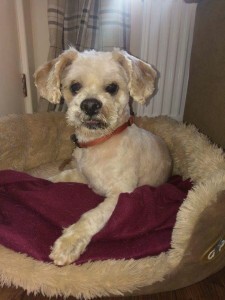 Dougal is currently in a foster home and his personality is really starting to shine now, he takes a little time to bond with people, but when he does, he loves to snuggle up and give kisses. He does occasionally have his ‘Victor Meldrew’ grumpy moments, and will need a child free home, but since his dental, he is much happier and less grumpy as he is in no pain anymore bless him. He is well behaved around the house, is housetrained and fine to be left for a few hours. 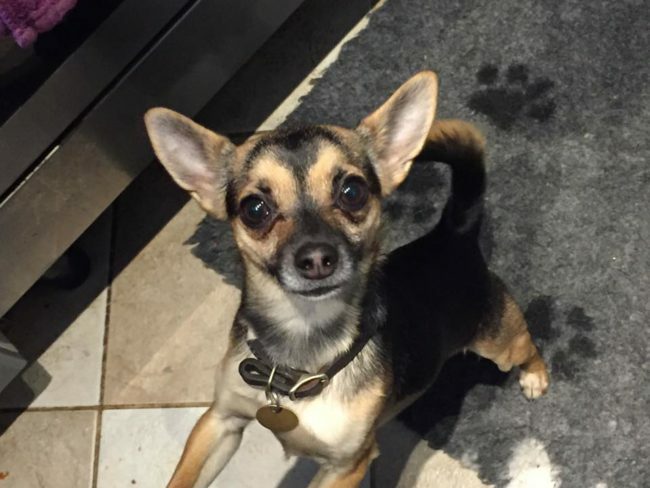 He is fine with other dogs and is currently living in foster with a cat who he is no bother around. Dougal enjoys his walks, he’s not a marathon runner, but would love a nice 20 minute walk or 2 a day. He is quite hard of hearing, and hasn’t got great eyesight – he has ‘dry eye’ and will need lubricating eye drops applying a few times a day for the rest of his life. He is a fab little chap and deserves a 5* retirement home who know and love little chaps like him! This entry was posted in Good with cats, Good with dogs, Happy Endings, Male, Small by Amanda HYPS. Bookmark the permalink.